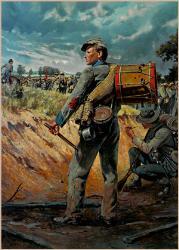 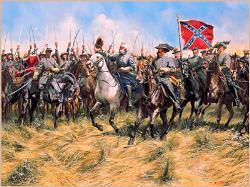 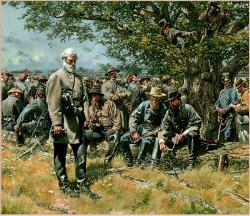 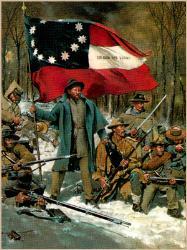 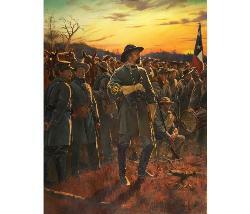 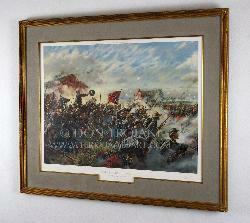 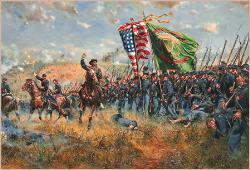 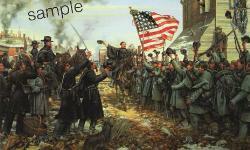 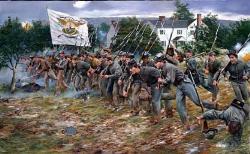 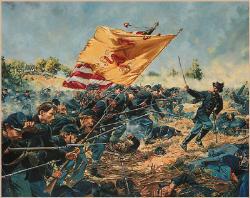 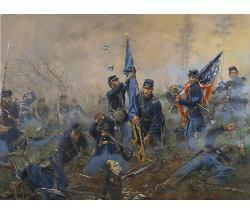 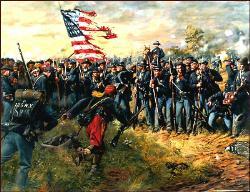 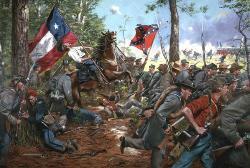 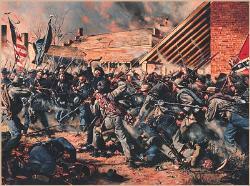 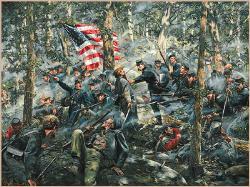 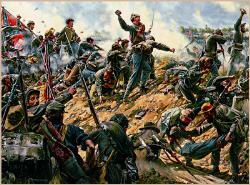 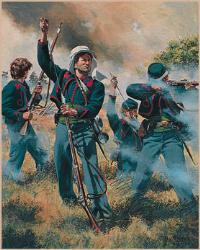 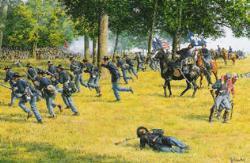 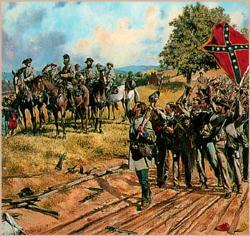 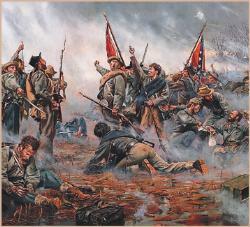 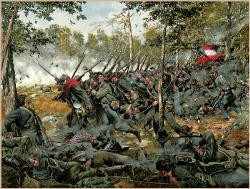 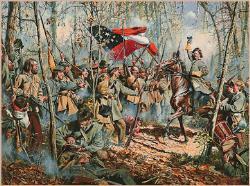 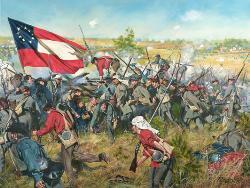 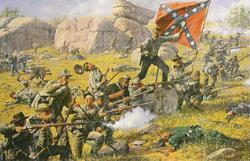 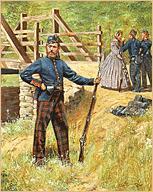 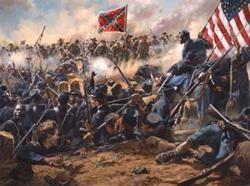 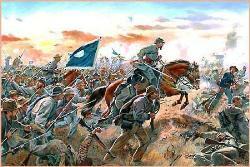 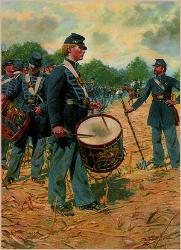 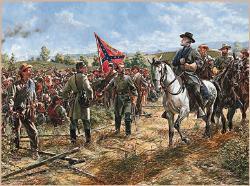 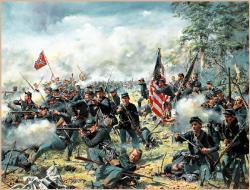 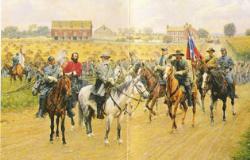 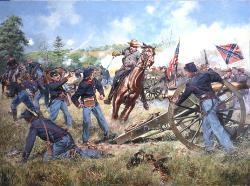 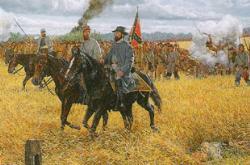 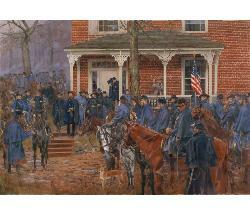 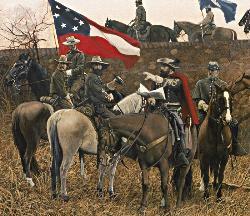 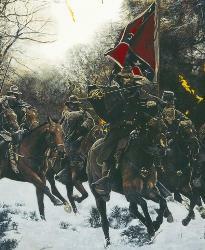 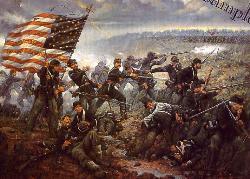 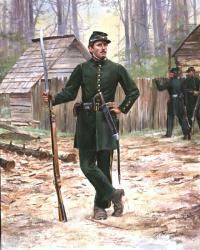 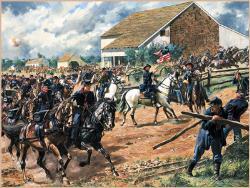 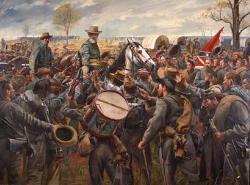 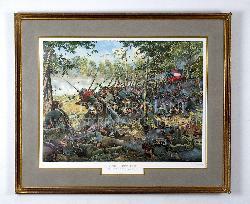 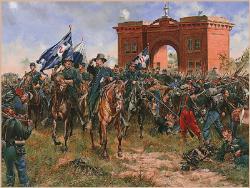 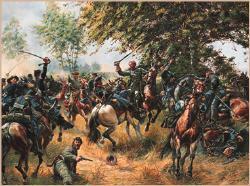 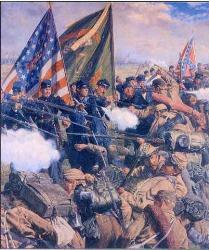 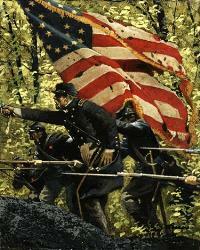 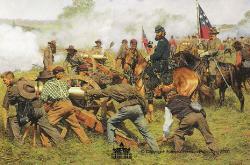 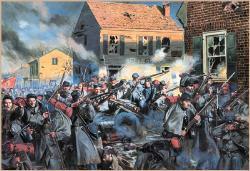 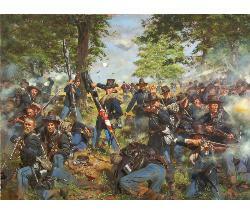 Brigadier General Richard Brooke Garnett and his Brave Virginians of Pickett's Division at Gettysburg July 3, 1863. 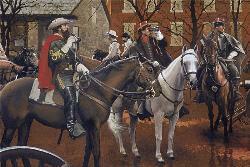 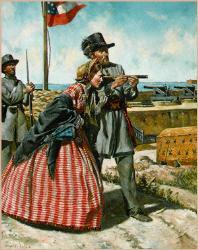 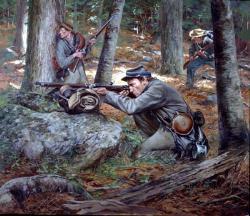 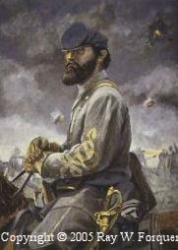 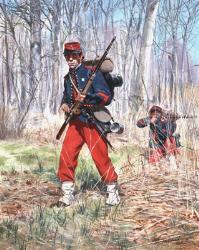 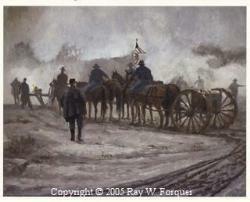 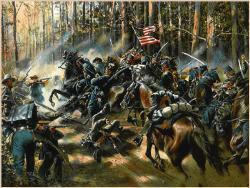 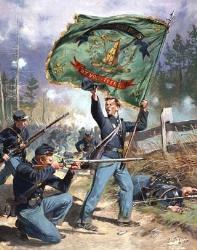 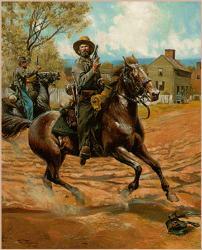 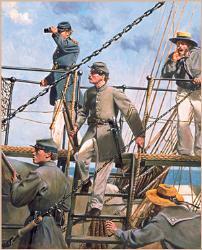 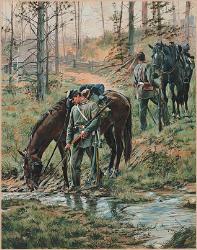 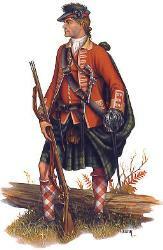 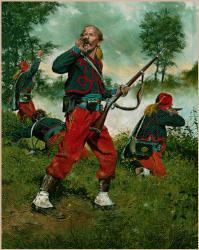 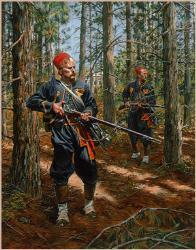 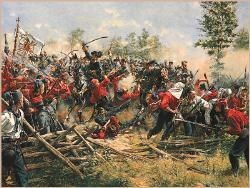 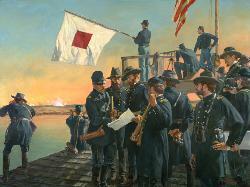 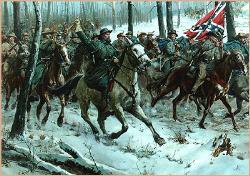 Brigadier General Garnett, reaching the Angle, calls out to the 28th Virginia, "Faster men - faster! 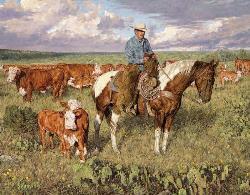 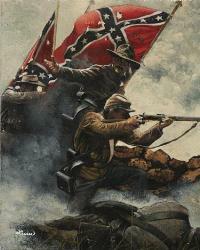 We're almost there." 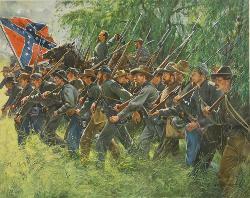 The Rebels approached the wall, their line in complete disarray. 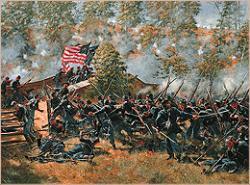 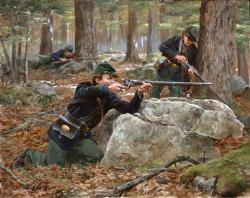 When they got to within 20 yards of the stone wall, the 69th Pennsylvania unleashed a devastating volley directly into their midst. 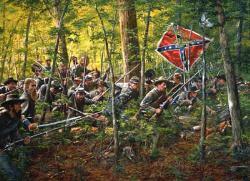 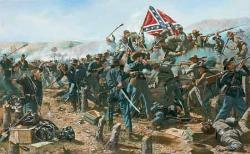 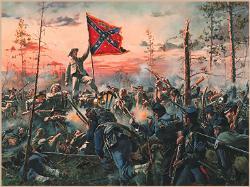 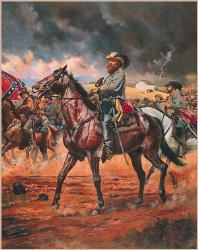 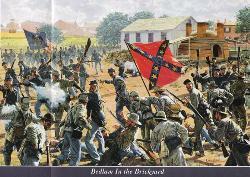 Staggered and shattered, the Confederates kept on coming. 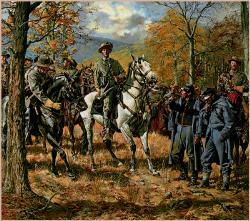 General Garnett was struck and killed instantly. 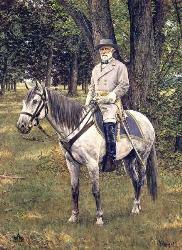 His body was never identified. 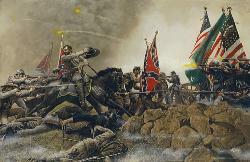 General Garnett's black charger - Red Eye - amazingly survived the onslaught and was later seen galloping toward the Confederate lines. 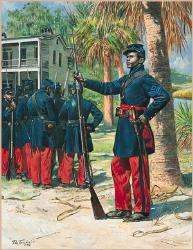 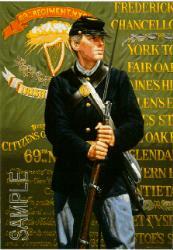 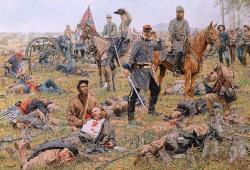 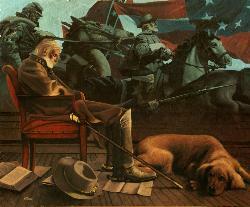 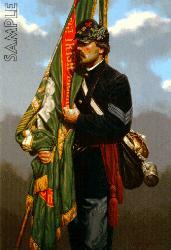 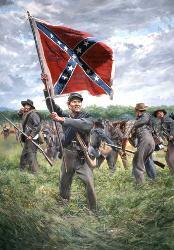 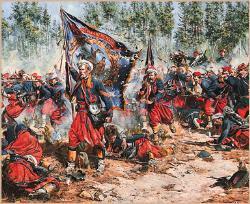 All of the original confederate color guards were wounded or killed. 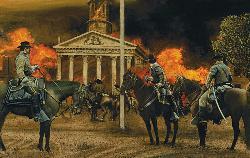 Studio Edition-Limited Edition of 500, Signed and Numbered Prints on 120# Archival Paper; Print size 27"w x 19.5"h, Image 23"w x 14.5h"
Remarque Edition-Limited Edition of 15, Personally Remarqued by Artist with an ink sketch, Signed and Numbered Prints on 120# Archival Paper; Print size 27"w x 19.5"h, Image 23"w x 14.5h"